In the middle of a San Diego summer, the last thing on your mind is having your heater replaced. Nevertheless, once temperatures begin to drop, you come to realize that your current system isn’t going to carry you through the winter months. There’s no denying it: living without heat can make your blood run cold. Rather than surrender your peace of mind, you can reclaim your comfort with a new, efficient heater installed by Mauzy Heating, Air & Solar. Whether you’re installing a heating system for your new home in CA, or replacing your old furnace, our team has you covered. Trained to work on all makes and models, our professionals deliver the highest quality heater installations at the best price. When you live in San Diego County, it’s important that your heater is in tip-top shape when the cool weather arrives. Offering All Makes & Models: At Mauzy, single-brand selling has never been our style. Navigating through the market, we will shop on your behalf, guiding you toward the best deal and system for your home. NATE-Certified Technicians: Each of our representatives instill into their work the know-how and professionalism that you deserve. Trained by industry professionals with over 40 years of experience, our team members deliver the most advanced solutions that our industry can provide. Options in Heating Systems: Looking to replace your system, but not sure what’s right for your home? At Mauzy, our product variety is at your full disposal. No matter what kind of system you need, our wide selection ensures that your new system will not be the best of a few options, but the very best—period. 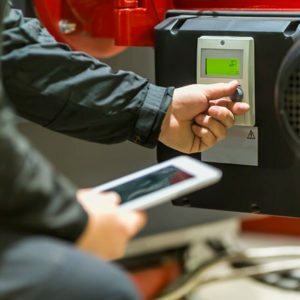 No matter which type of fuel your home takes, the Mauzy experts install the system that’s right for you. By cross-training our technicians to work on all brands, our skilled craftsman tailor their services to your unit’s specificities, guaranteeing that your family will remain comfortable all winter long. It’s not always easy to determine if your system should be repaired or replaced. Thoroughly examining your unit, our professionals consider a multitude of factors before making a recommendation. Can your system be fully restored with repair work? Or, should you replace your failing unit before it burns a hole in your wallet? No matter what our evaluation reveals, you can rest assured that our recommendations have your budget and long-term benefit at the forefront of our minds. If your heater needs repair work, our heating system repairs and the rest of our services will restore your unit’s efficiency and performance. Summer has a way of sneaking up on you. If your AC isn’t up to speed, our air conditioner installation in the San Diego region will provide you with the new, energy-efficient system that you need to beat the heat. 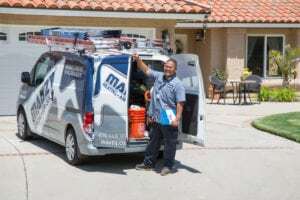 Our team delivers advanced and affordable heating solutions for each and every home in San Diego County. To schedule your heater installation service with our team, fill out our online form or call us at 858.900.3909 today.